Just a quick one from me today - blog followers will remember this three bedroom flat in Camberwell from a couple of weeks ago. The asking price has now been reduced from £335,000 to O.I.E.O £300,000. This represents a potential rental yield of up to 6.7%, a great opportunity for any buy-to-let investor. If you're a landlord or developer who's spotted a property with investment potential, email the web link to jeroen@xandermatthew.com and I'll be happy to give you my opinion. This two bedroom flat in Streatham Hill has been on the market with Haart for just over a month, and was reduced today from £295,000 to £288,000. The ground floor flat in Balcombe House, SW2 is within walking distance of Streatham Hill station (for London Victoria) and offers two good size double bedrooms as well as a large reception room. In the current rental market it could be expected to achieve £1,400pcm, offering a 5.8% yield at asking price. It's not uncommon for properties in the £250,000 - £300,000 range to have difficulty attracting buyers because of the stamp duty threshold. It's likely that the vendor would entertain offers lower than the asking price, enabling a buy-to-let investor to maximise their yield. Thinking of buying, selling or letting? Ask my opinion with no obligation by giving me a call on 020 3397 2099, or email me at jeroen@xandermatthew.com. The lots for December's auctions have been released, and this four bedroom property in Balham SW12 looks to be one of the best opportunities available for developers and investors. The property on Cavendish Road goes under the hammer on Wednesday 10th December with Auction House London, with a guide price of £675,000. It's available with 124 years remaining on the lease, and planning permission has already been granted to create a separate lower ground floor two bedroom flat in addition to extending the existing two bedroom garden flat. With its enviable location close to Clapham South Tube (Northern Line) and The Common itself, two bedroom period flats on Cavendish Road can fetch anywhere from £500,000 to £700,000, depending on condition and outside space. This four bedroom flat in SW2 is available through Beresford Residential with an asking price of £375,000. At over 1,000 sq. ft. and offering four good size double bedrooms plus a reception room, it would make an ideal buy-to-let property. If there's one downside it's the lack of public transport links in the immediate area. Potential tenants would have a 15 minute walk to the nearest train station, but given the demand for four bedroom properties this shouldn't be problematic. At this time of year it could be expected to achieve in the region of £480 per week, but in the peak summer rental market where sharers are willing to pay a premium for three and four bedroom properties, £525 per week wouldn't be unrealistic. This represents a fantastic 7.3% yield at asking price. Something a bit different for the blog today, as it's the first time I've posted a property that's on the market with my own agency! Trust me, if you're a buy-to-let investor it's worth a look. The property in question is a three bedroom ex-local authority flat on the market with an asking price of £335,000, and is available chain free for a prompt sale. With three good sized double bedrooms and a large reception room, it would be an ideal home for professional sharers. Located in Camberwell SE5, the property is within easy walking distance of several stations as well as Kings College Hospital. It could be expected to rent for £390 per week, offering a 6% yield at asking price. Thinking of buying, selling or letting? Why not ask my opinion with no obligation? Email me in confidence at kevin@xandermatthew.com or call me on 020 3397 2099. In the last 24 hours the asking price has been reduced from £565,000 to £535,000, offering a rental yield of 4.4%. The demand for period properties, ongoing regeneration of Nine Elms, and the Northern Line extension to Battersea all bode well for future capital growth prospects, and this is where you'll really see a return on your investment. To maximise your future profit I'd suggest testing the water with an offer below the £500,000 stamp duty threshold. If you're thinking of buying, selling or letting and want a second opinion with no obligation, give me a call on 020 3397 2099 or email kevin@xandermatthew.com. Those were the words of one of my colleagues in the lettings department when he came across this property this morning. I'd have to agree. At almost 1,000 sq. ft. with three good size double bedrooms, a study and large reception room all finished to an excellent standard, this Brixton flat would make a superb home for professional tenants. The block itself is well maintained, as is the surrounding area, and lies just 400 yards from Brixton tube (Victoria Line). Available for offers in excess of £375,000, the flat would fetch £475 per week in the current rental market offering an attractive yield of 6.6%. If you're thinking of purchasing a buy-to-let or development property then why not ask my opinion with no obligation? Email me in confidence at kevin@xandermatthew.com or call me on 020 3397 2099. How much? £144,000 annual salary needed to buy in Wandsworth. I came across this article in The Wandsworth Guardian this morning and thought it was worth sharing. In order to buy an average Wandsworth property, an individual or family has to earn an annual household income of £143,534. The stats are perhaps slightly exaggerated. In the current sales market the average buyer usually has a deposit considerably higher than the 5% quoted, often supported by The Bank of Mum and Dad who worry that it's a case of "now or never" for their child to get on the property ladder. Regardless, the figures are still staggering. The good news for buy-to-let landlords is that with more and more young professionals and families resigning themselves to renting for the foreseeable future, there are excellent opportunities for both high rental yield and capital growth. 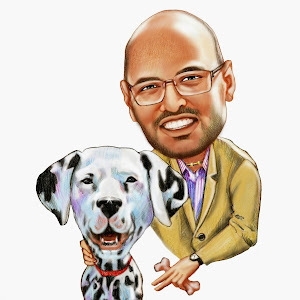 If you come across a property that interests you on Rightmove or Zoopla, send the link to me at kevin@xandermatthew.com and I'll be happy to give you my honest opinion. 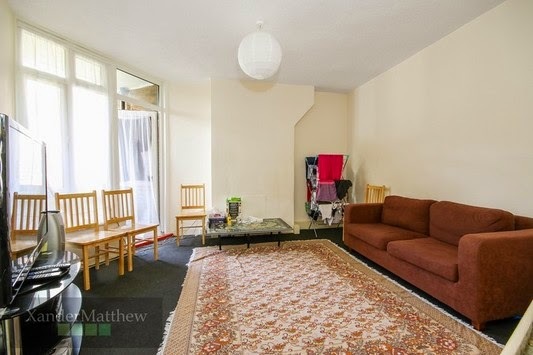 Moments from Stockwell tube (Northern and Victoria lines), this 2 double bedroom apartment would be ideal for a first time buyer or buy-to-let investor. The property is listed with LudlowThompson for £350,000. Having recently been refurbished, and available chain free, a quick sale seems likely. Two double bedrooms so close to the tube will catch the eye of good quality professional tenants who would expect to pay up to £1,600pcm in the current rental market, offering a 5.5% yield at asking price. Thinking of buying, selling or letting? Why not ask my opinion with no obligation? Feel free to email me in confidence at kevin@xandermatthew.com or call me on 020 3397 2099.